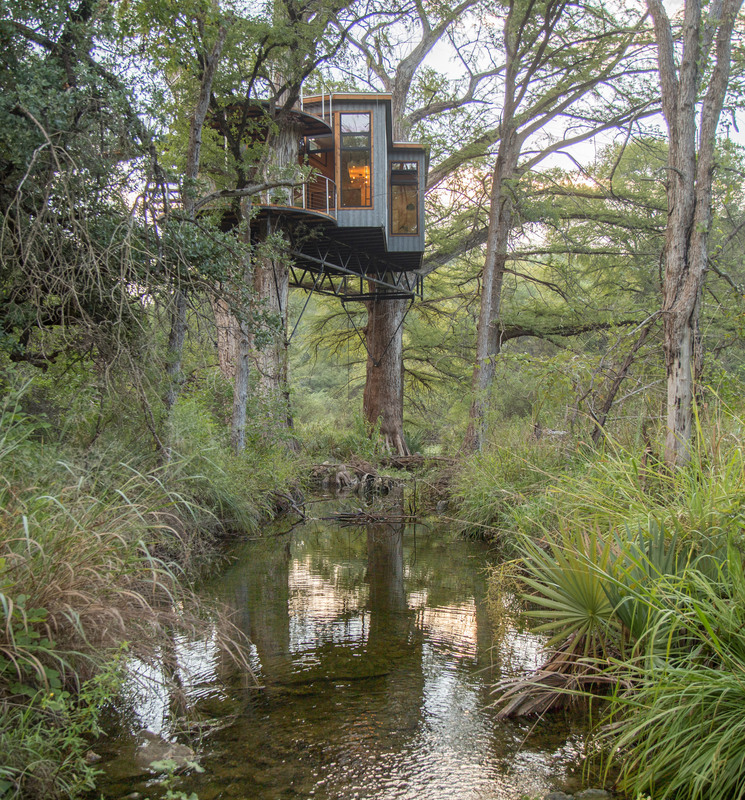 AE Interests: Perched 25 feet above ground, the Yoki Treehouse is the first luxury treehouse resort that has come to Austin, Texas. 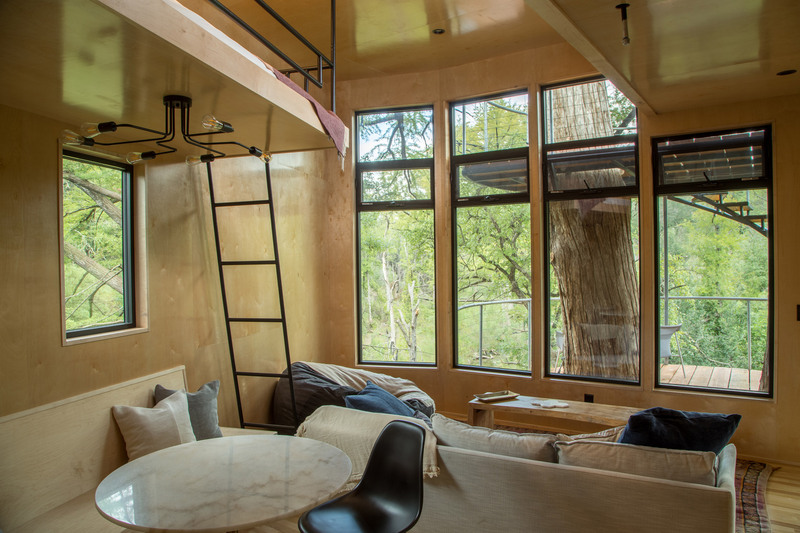 Steel open webbed joists balance the structure between two massive trees. 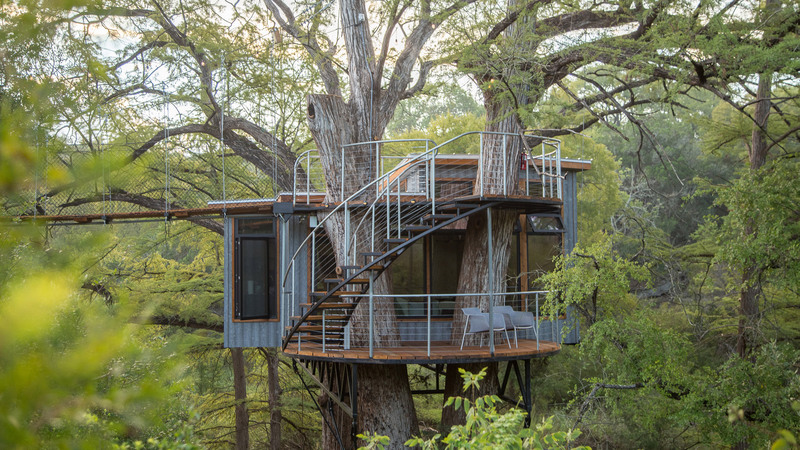 The treehouse itself is constructed of sustainable woods such as elm and cypress wood and wrapped in metal siding to call upon the traditional rustic Texan style. 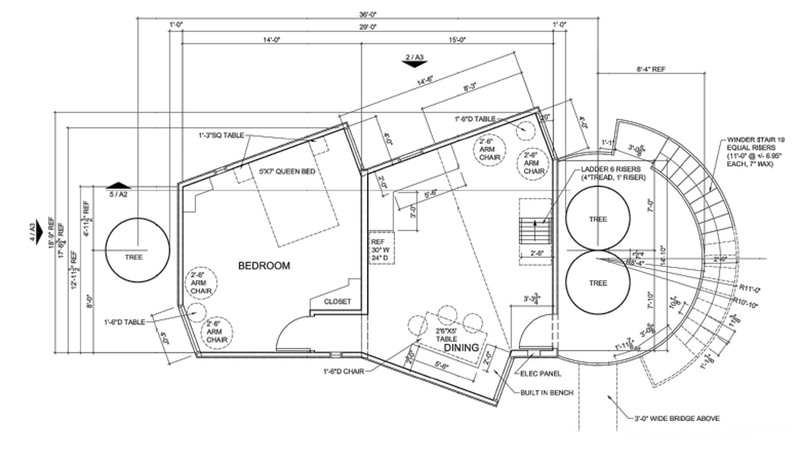 The interior, however, is designed in a clean, modern way. 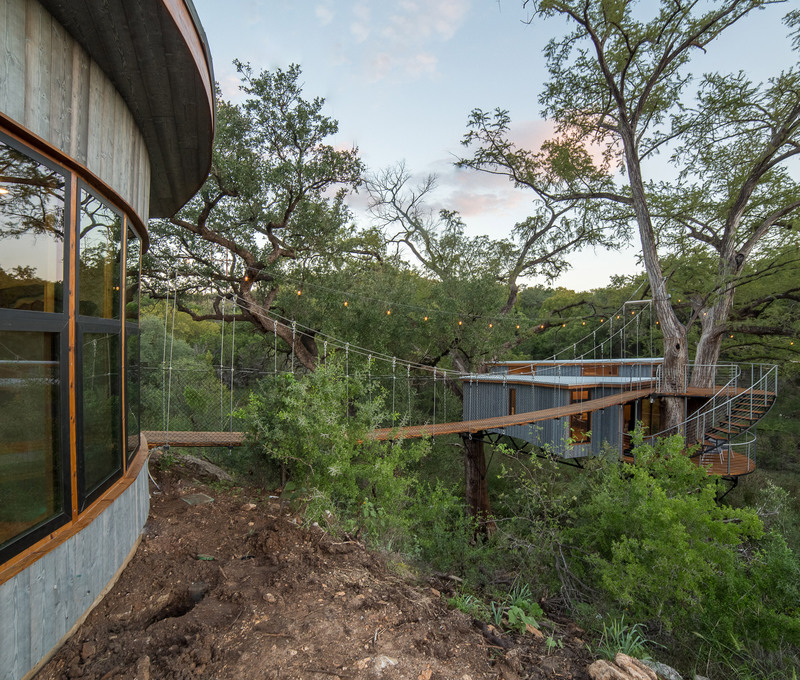 The property is split up into two constructions, the living areas in the trees and the bathhouse that sits on solid ground, connected by a 60 foot suspension bridge.